When a school news site received notice of a copyright violation, the site’s advisor sought guidance on how the fair-use doctrine works. When I worked as news editor of my college paper, I posted a sign above my desk that read, “Assumption is the mother of all screwups.” As advisor to my school’s student-run news site, The Gator, I made an assumption and screwed up. I told my student-journalists that as long as they included only a small portion of a song they didn’t own or have rights to use, the fair-use doctrine would protect them from a copyright claim. I was wrong. Vimeo, which hosts The Gator’s video content, sent a notice for us to take down two pieces of content that contained music we didn’t own. Another violation would have disabled our account. I issued a formal apology, as did my editors. Those apologies persuaded the musical artists’ representatives to graciously rescind the claims and allowed The Gator to continue using Vimeo. Many people assume giving credit or attributing work to a creator is sufficient. It is not. Mike Hiestand, senior legal consultant for the Student Press Law Center (SPLC), an organization that provides free counsel to student-journalists and educators, offered some suggestions for avoiding copyright violations. Hiestand said fair-use law is “squishy stuff” that could benefit from some clarity. Courts want to protect artists by ensuring fair compensation for their time and efforts. At the same time, the law must also provide some leeway for public critique and meaningful discussion about copyrighted work. The interpretation of what constitutes fair use is determined on a case-by-case basis, Hiestand said. “A use is more likely to be considered a fair use if it is used for purposes such as criticism, commentary, news reporting, teaching, scholarship, and research,” a helpful breakdown on the SPLC website states. While there is no definitive test for fair use, Section 107 of the Copyright Act lists four criteria to consider. 1. Purpose and character of the use: How are you using the material? “A pretty big misconception, within the school ranks specifically, is this belief that simply because we’re involved in education that somehow gives us this license to use whatever we want,” Hiestand said. Teachers and schools are not guaranteed absolute protection from fair-use infringement claims, he added. Well-intentioned teachers believe that because we are educators, we are immune to claims. It is a false and dangerous assumption. 2. 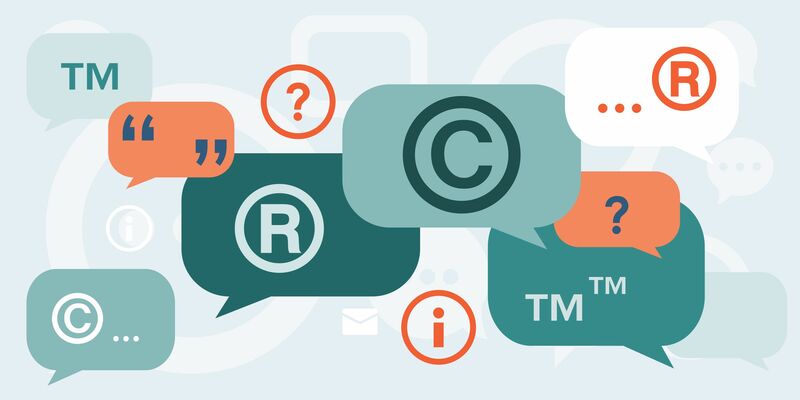 The nature of the copyrighted work: What type of material are you using? Because the law wants to encourage facts, you may have a stronger claim for using nonfictional material than fictional or creative works. 3. The amount and substantiality of the portion used in relation to the copyrighted work as a whole: How much of the work are you using? Think of fair use as a sliding scale. If you use 30 seconds of a three-minute song, that’s different from using 30 seconds of a 30-second piece. Hiestand warned against taking the “heart” of a work, no matter how many or few seconds that might be. There is no way to know exactly what makes the heart of a work, but it’s safer to use less-popular lines when creating and publishing content. 4. The effect of the use upon the potential market for or value of the copyrighted work: Is the way you use the material going to potentially undercut the artist’s ability to profit from his or her work? Hiestand gave an example of a movie poster and cautioned against publishing a full-color, full-page reproduction because it might enable someone to not purchase the original. In recent years, Hiestand has been busier than ever because of technological advances like bots that make potential violations easier to detect. “Once the bot finds you, there is a very automated procedure. A letter is generated, and you are found because of your IP address. A high school in Iowa got a bill for $9,000,” Hiestand said. To avoid potential legal issues, consider these suggestions. 1. Teach your students about copyright and fair use. Developing an understanding of how the law works in student journalism can be a learning experience for students. 2. Use alternatives. Use work in the public domain (where no copyright exists) or creative commons (where copyright owners have given permission for their work to be used). 3. Have students create their own content. Recently, one of my students composed her own jingle for The Gator’s biweekly television news broadcast. 4. Consider purchasing a subscription to royalty-free media sites to gain access to certain images and music. We pay for a service that provides thousands of photographs and illustrations. My students are currently exploring the possible purchase of another service that would give them the right to use royalty-free music. 5. Don’t rely on your own knowledge. Use the many resources about copyright and fair use provided by the Student Press Law Center, which also has a helpful student media guide to law. If students violate copyright law, Hiestand advises that they issue an apology and explain that they are a student publication with a limited budget. There is no guarantee, but the violation might be forgiven.